I’m already over-excited about this weekend’s first 2010 F1 race. Even more so due to the new teams, rules and the world-class line up of drivers like Schumacher, Hamilton, Button, Alonso and Vettel. However, in typical F1 style, there is already some controversy and gossip flying around. 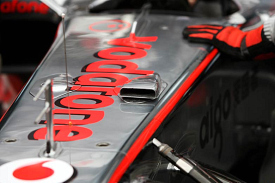 This concerns McLaren’s new ‘air duct’ system that has caused a lot of speculation and accusation. The ingenious and creative system apparently channels air from the nose of the McLaren car and through a ‘chimney’ to a hole in the driver’s cockpit. People have assumed that there is a further chimney running through to the rear wing of the car. Everyone’s best guess is that if the driver blocks the hole in the cockpit of the car, he can ‘stall’ the rear wing. This means in layman terms that the rear wing loses down-force efficiency and drag … allowing for an increase in the car’s top speed. This might make overtaking a lot easier on straights! “People will look at what we have got on our car and I would imagine that most teams are now looking for how they would implement such a system”. When asked if he had fears of a protest, Whitmarsh said: “From what I understand, there are no grounds for a protest. Knowing how F1 works a little, the teams will try and have the system banned rather than incur the cost of developing it. However they have failed so far so and we will see the McLaren run this weekend with the duct system in place. This kind of creative thinking should be encouraged in my opinion, especially if it spices up the action on track!